Omnibus edition includes all 3 volumes of the series. 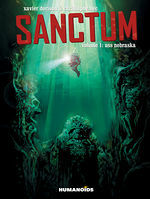 A Lovecraftian and claustrophobic Sci-Fi thriller set under water. 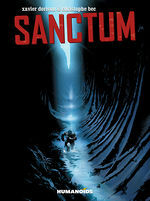 After receiving a distress call from another submarine off the Syrian coast, the crew of the USS Nebraska search a series of massive caverns, where they discover a 70-year-old shipwrecked Soviet sub, whose crew died under mysterious circumstances. While investigating this enigma, the Nebraska’s away team discover a massive underground sanctum dedicated to Môt, the ancient Ugarit god of death. 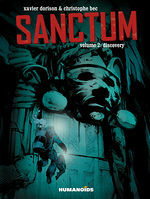 Now, the crew must find a way to escape the death god’s prison without freeing him to wreak destruction upon the world. 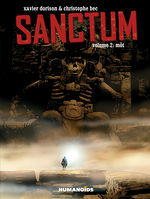 This is a great blend of Alien like science fiction with Lovecraft style horror. This book keeps you guessing right up until the end, which I honestly didn’t see coming. Recommend it to any one who likes occult mysteries and big, bad demons that go bump in the night.